Frontline staff at organizations that teach digital literacy and offer public Internet access require better preparation and instruction in fielding questions and quelling data privacy concerns from users. Through the support of an IMLS grant, a group of locally and nationally based organizations partnered to develop a hands-on professional training program on data and privacy literacy in hopes of showing how this knowledge can positively impact their service to library patrons. The project grew out of a prior collaboration between Brooklyn Public Library (BPL) and Dr. Seeta Peña Gangadharan (New America’s Open Technology Institute (OTI); London School of Economics) that led to research demonstrating a palpable need among digital literacy providers for up-to-date data privacy knowledge and skills. We hired the educators at Research Action Design (RAD) and collectively developed a training program with learning goals from that earlier research project in mind. The curriculum was also shaped by feedback from an advisory committee made up of BPL staff. Our collaboration came up with a two-part training series for library staff. 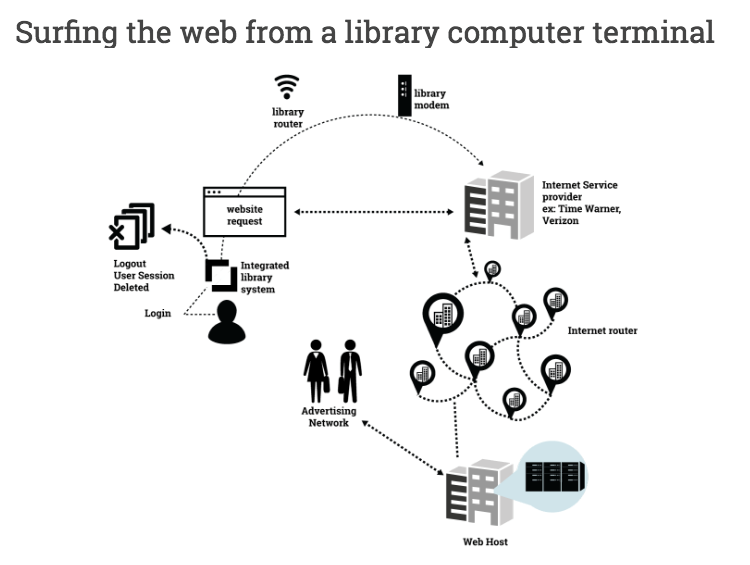 The first workshop teaches the fundamentals of library history in privacy, how data flows through the internet, and what influences data flows. The second helps staff assess and communicate privacy risks with patrons and allows for hands-on practice with privacy and security tools that they can recommend to patrons according to their needs. We started with the BPL staff then adjusted the curriculum for a broader audience of libraries and are now teaching these workshops to public, academic, and other types of libraries through Metropolitan New York Library Council (METRO) a member-based library and archives support organization in NYC. 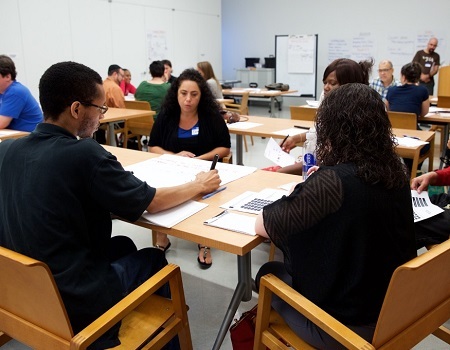 In order to further engage with library staff, some BPL librarians and tech specialists have been trained to co-facilitate alongside the RAD instructors. In the end, this project will train hundreds of library professionals in person in the NYC metropolitan area. For its part, Data & Society wanted to consider the broader impact this work could have for librarians everywhere, and spark an interest in teaching similar workshops in their cities and branches. The website http://www.dataprivacyproject.org/ includes a timeline, interactive features, and videos to translate the curriculum into digital resources covering historical moments and how data flows online. In the coming months, the site will include content from our second workshop, including a facilitator’s guide, so others can conduct similar trainings. Thanks to support from the Knight Foundation, the site will also feature a prototype of a networking platform that aims to enhance digital privacy and security, utilizing each other’s skills. About the author: Bonnie Tijerina is a librarian, entrepreneur and library community convener. She is currently a Researcher at Data & Society, a New York City think tank focused on the social, cultural and ethical impact of technological development. There, Bonnie represents libraries amongst a group of academics, civic technologists, legal experts, policy makers, and entrepreneurs. You can reach Bonnie at bonnie@datasociety.net and @bonlth.